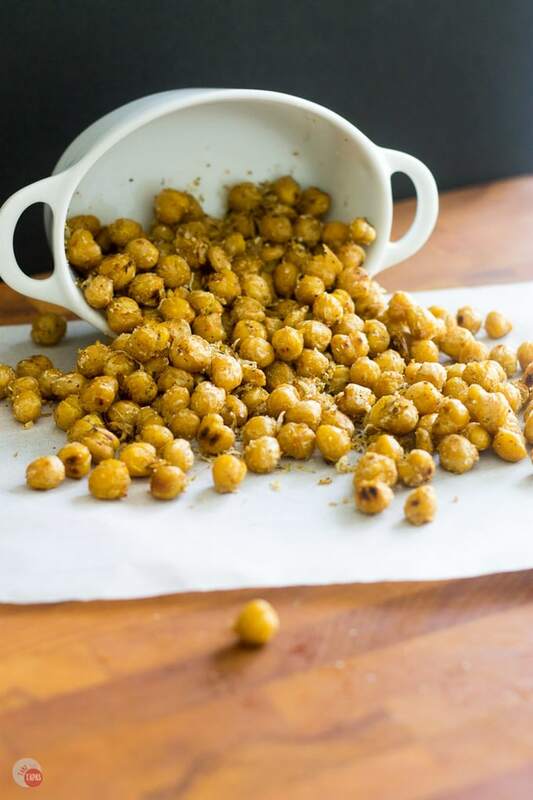 Crispy Pan Roasted Chickpeas are a healthy and protein filled snack, tossed with cheese and spicy pepper, that is so addicting you might as well make two batches at once! If you thought that chickpeas were just for hummus, you thought wrong! 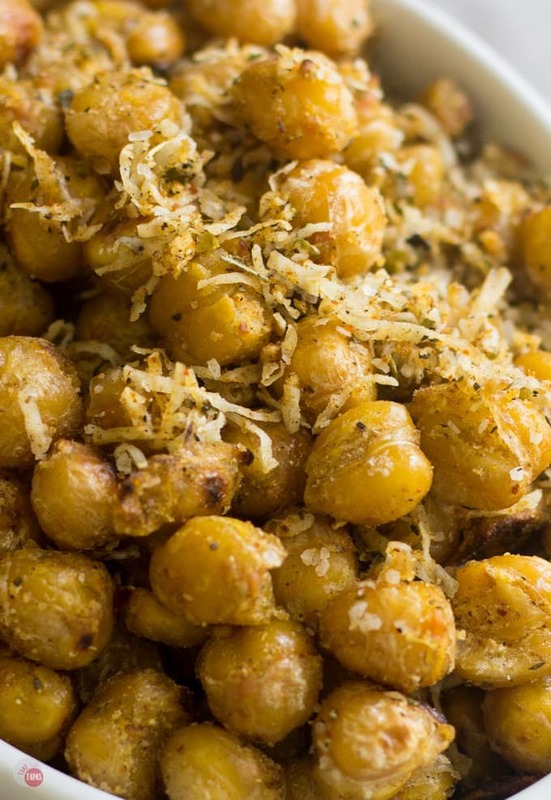 Have you ever had a pan-roasted chickpea? If not, you are missing out on the greatest snack of all time. I am a big snacker so trying to snack smart is very hard. I know that a snack should be healthy, but it must have some spice to it if I am going to eat it and actually come back. Popcorn is great but you can only eat that for so long before you are sick of it. Pretzels are great because of the salt and the crunch but all those empty carbs are not good for my beer belly that I desperately want to look like a six-pack and not like a balloon filled with all the beer from the six-pack. My Lemon Thyme Almonds are a great snack but not spicy like these. Where do I look for snacks? When looking for a new snack to try when I fall off the wagon and gorge on sweets, I always look to my fellow food bloggers. I was reading my friend Michelle’s blog, A Dish of Daily Life, and she had just made a batch of Crispy Parmesan Chickpeas. These chickpeas are right up my alley. A salty snack I can pop in my mouth by the handful and still get some protein in the process! He saw the dirty pan and the spices out so I had to make another batch, which he ate as punishment to me. Because they were such a hit, I decided to show you this recipe as a part of our Freaky Friday Blog Hop. Freaky Friday is a blog hop where a group of food bloggers exchange blog names, Secret Santa-like, and then make a recipe from their blog and share it. This allows us to share wonderful recipes with our readers that they might not see on another blog. It is also a great way to introduce you to those hard-working bloggers so you can read them too! Check out the texture on these tiny spheres of goodness! 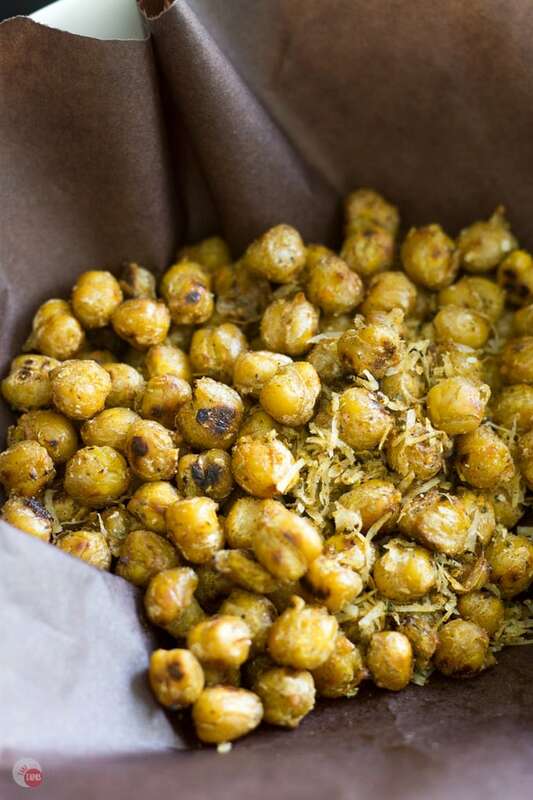 Don’t you just want to eat these pan-roasted chickpeas by the handful? Add chickpeas and pan fry for about 10-15 minutes stirring occasionally. When they are done they should be brown and crispy on the outside. Cooking times may vary with ovens and pans. Remove from pan and place on paper towels to dry even more. Toss the spices and cheese with the chickpeas to coat. Enjoy warm or store in an air-tight container for up to 3 days but they won’t last that long! Boy, do I love this blogger! 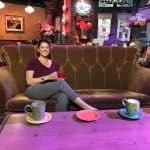 This recipe first appeared on A Dish of Daily Life where my friend Michelle blogs about being a parent, wife, and great tips to help you get through your day with a laugh. Some of her recipes that you should take a look at include a Salsa Verde for your next tailgating party. If you need a soup for the upcoming cooler weather, try a Lemon Chicken Orzo Soup. Any mom can use more 30-minute meals. Try this One Pot Sausage Broccoli Pasta, that will help you get dinner on the table. A quick note when tossing your chickpeas, make sure you do it over a pan. As you can see in the picture above, they like to roll away. You don’t want to miss a single one! These look delicious! Can’t wait to make them and snack away. Oh, I can’t wait to give these roasted chickpeas a try. I’ve seen recipes on Pinterest, but not with cheese and ghost pepper! Totally intrigued by the flavor! I am so intrigued by this recipe! It looks amazing and I MUST try it! Roasted chickpeas were already delicious enough but now you’ve got me with the cheese and spice! Such a perfect snack! Whoa, these sound amazing! 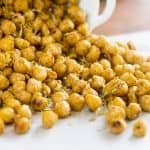 Cannot wait to share these with my chickpea loving family! Pan roasted? Love this idea! 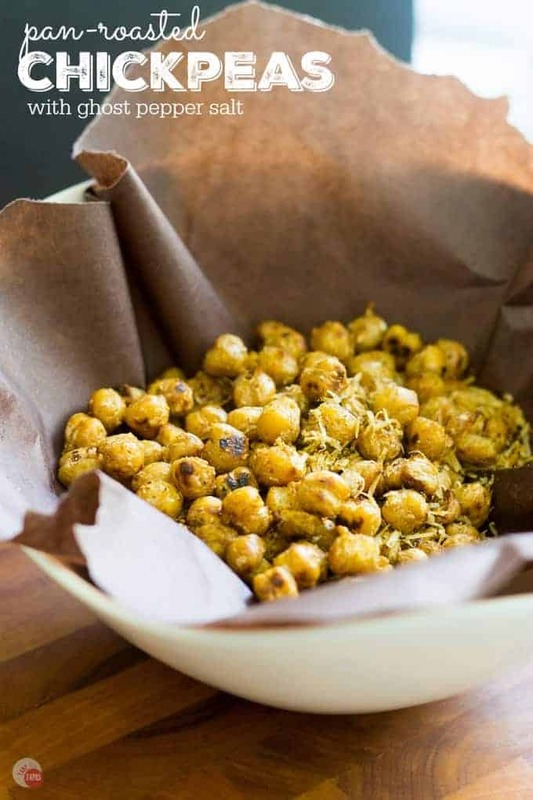 I seriously love crunchy snacks and will definitely be trying these. This would definitely be an addicting snack! Love the photo of the little chickpea that left it’s tribe! It was so funny you said that Julie because they all tried to roll away! I found chickpeas all over my floor after I made the recipe! This looks so good Jen! 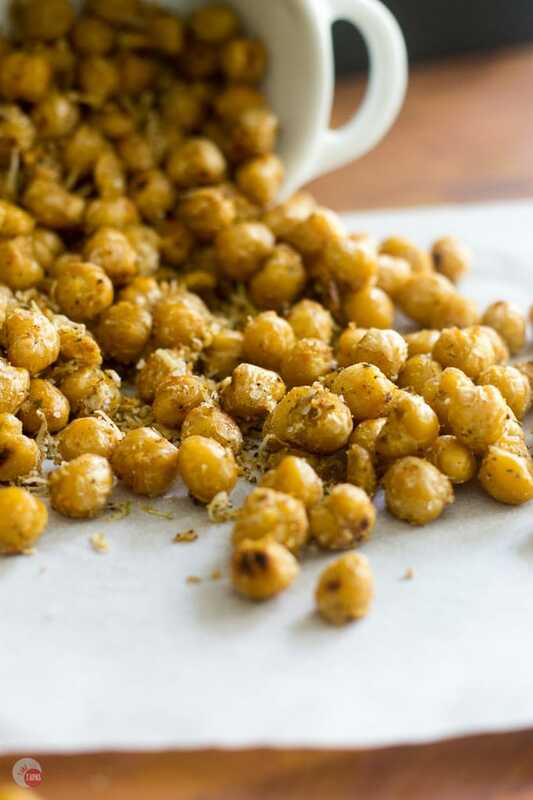 We love roasted chickpeas for snacks. I have got to try this cheesy version. What an incredible snack!!! They sound absolutely amazing! I love chickpeas but have never had them like this! Think I might get the cast iron skillet out this weekend and work up some of these bad boys. We can enjoy these for a very tasty, healthy snack! Looking good. Thanks. These look yummy! Our entire fall season revolves around football games, and these are the ideal snack! Thanks so much! I loved your pictures of the sliders and I hope you family liked them too! I love participating in FF and can’t wait to stock up my Pinterest Boards with everyone’s recipes!